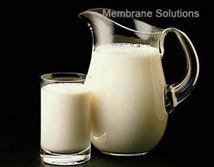 Food and beverage industry (some time with high internal value) involved in a lot of liquid treatment processing, so can use all sorts of separation techniques. As the population growth and not too developed areas of the improvement of living standards, food and beverage industry from many ways has become a stable development mature industry. Food and beverage industry of separation equipment used in one of the most important feature is that they want in absolute clean environments. Interface is usually composed of polished stainless steel, the whole equipment to facilitate cleaning, had better use the online cleaning process. 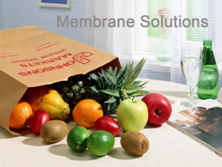 Membrane Solutions are able to call on our food and beverage process specialists to support you. At your disposal is the widest range of filtration and separations technology in the world, providing unique, cost-effective solutions to your processing challenges.